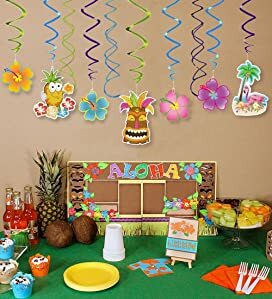 Package of 30 Hanging Cute Luau Decorations. 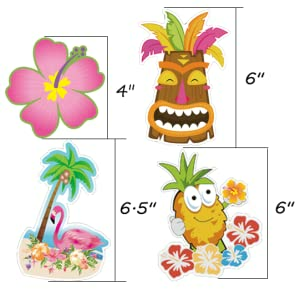 Hawaii Ceiling Decorations extend to approx.36" long. 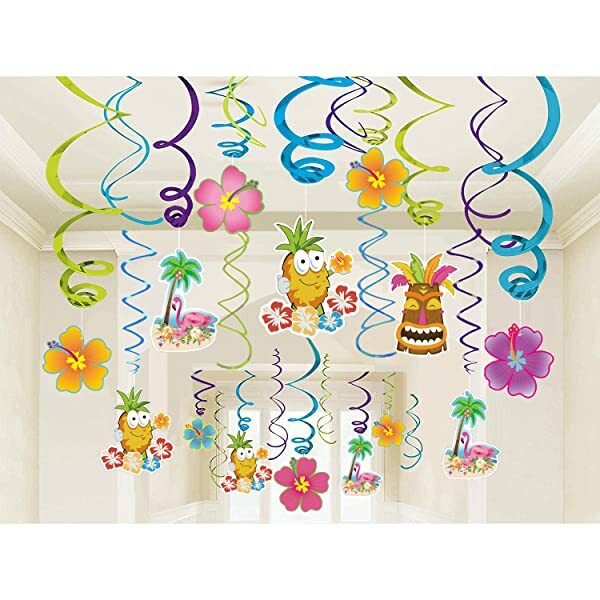 16PCS hanging swirl decoration features a cut-out of Tropical Flowers,Tiki Mask, Hibiscus ,Flamingo or Pineapple mixed with metallic whirls. 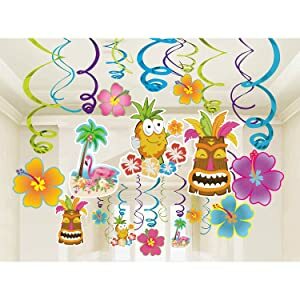 Colorful dizzy danglers are perfect for any Hawaiian luau, tropical beach theme party or birthday celebration.You can coordinate with other Tropical Luau party decorations and party supplies to create a completely festive atmosphere. Come assembled - You can light and easy to hang from the ceiling, tree branches or in a doorway with the attached hook on the top. 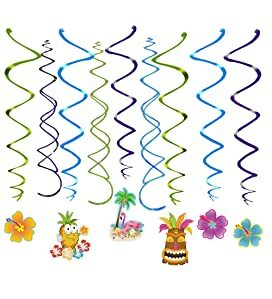 Brighten up a luau party with these beautiful foil swirl decorations. 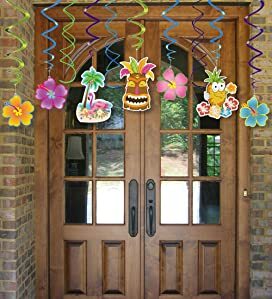 These vibrant and colorful tropical luau hanging decorations will add the finishing touch to any party and are ideal for hanging on doors, walls, windows or doorways.